EVERETT – A couple of groundouts – and some fine pitching – were all the Everett AquaSox needed Wednesday to defeat the Spokane Indians. Orlando Razo (4-3) pitched five solid innings and the AquaSox made the most of their few opportunities to edge the Indians 2-1 at Everett Memorial Stadium. Everett won the Northwest League series 2-1, but Spokane took the season series 7-5. Everett scored in the first inning on Connor Kopach’s groundout to shortstop. The AquaSox took the lead for good in the third when Kopach, who had tripled, scored on Bobby Honeyman’s fielder’s choice to second base. Razo allowed four hits and one earned run, striking out six and walking two. Hard-luck loser Ryan Dease (4-4) allowed seven hits and two earned runs in five innings, striking out two and walking none. Spokane scored its run in the second. Diosbel Arias led off with a single to center field, moved up on a walk and groundout, and scored on Starling Joseph’s sacrifice fly to center. Spokane was held to six singles and Curtis Terry’s two-out double in the fifth. 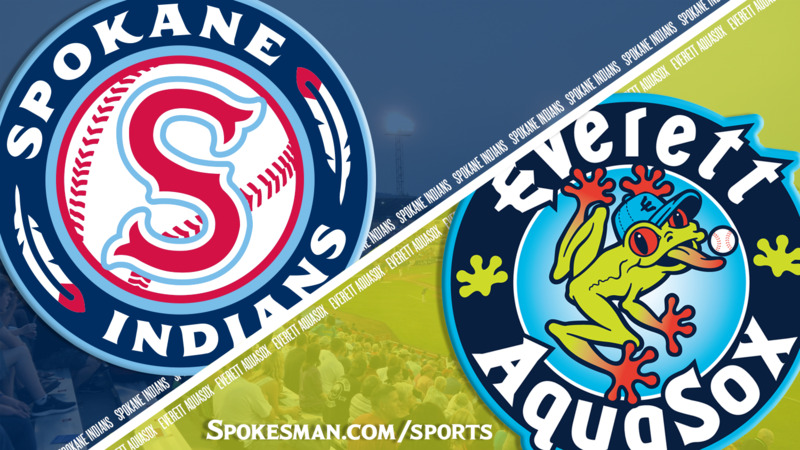 Spokane, 14-13 in the season’s second half, returns to Avista Stadium Thursday to begin a five-game series against the Salem-Keizer Volcanoes. Eight of the Indians’ final 11 regular-season games will be at home. Spokane will play three games at Tri-City before a season-ending series against Vancouver. Everett, the North Division’s first-half champion, improved to 12-14 in the second half. Published: Aug. 22, 2018, 9:56 p.m.